The healthy is all fine and dandy but ask anyone who does and they’ll tell you that the number one thing they miss from eating a “normal diet” is the flavor. This is because our body is naturally designed to seek out three types of things when it comes to food, those being sugar, salt and fat. Healthier foods naturally are going to have less of these ingredients and are going to have these ingredients added to them as opposed to what we are so used to in the western diet. This makes the transition from eating up or diet to healthier one much more difficult and many of us look to condiments as a sort of crutch to get us over this hump. The problem with this is that many of the condiments we regularly consume a pretty bad food items themselves, and Foss can be doing more harm to our diet than we actually realize. One in particular being your typical catch up which is loaded with sugar and salt, so what alternatives can we use in place of these? If you’re one of the many people out there that loves having some kind of sandwich for lunch than mustard is something you absolutely have to have in your fridge or pantry. Mustard itself is very low in calories and fats, yet provides a very distinct and really tasty flavor to whatever food you’re adding to. When choosing mustard make sure that your choosing the plane varieties with as little salt and sugar added as possible. If you check being greedy and label you really only want your mustard to contain two ingredients that being the mustard seeds themselves and a little bit of vinegar. If you’re someone that just can’t give up ketchup because you love the flavor of tomatoes than you can turn to tomato paste as a similar viable option. Tomato paste is going to be nutritionally superior to your ketchups because it should only consist of two ingredients: water and tomatoes. Tomato paste can be a versatile condiment which can be added to all variety of dishes and not just ones you find in Italian cuisine. Tomato paste is relatively cheap and easy to store as well making it an item you need to buy. Nutritional yeast is something that every vegetarian and vegan should be well aware of as it is one of the one food items they have available to them which is loaded in vitamin B-12. Not only is this food something that not meet you should consider adding in their diets but because of its cheesy like flavor it is something that everyone can get to the dish as a low fat, and low caloric alternative to cheeses. People tend to shy away from nut butters because they’re naturally high in fats however these are facts which are generally healthy for us and have been shown to in fact lower our chances of various forms of cardiovascular disease. Top of that not butters are loaded with protein and fiber as well which not only can helpless to feel more full, to keep us satiated for a longer period of time. Like with any other food on this list is important that when choosing a nut butter you take a good look at the nutrition label before doing so. The healthiest for ideas are going to be ones that have little to no added salt, as well as lacking additional sugar, palm oil or other additives. Hot sauce is another continent everyone should keep around handy because of how much flavor and adds to dishes, and how it goes well with many different kinds of foods. 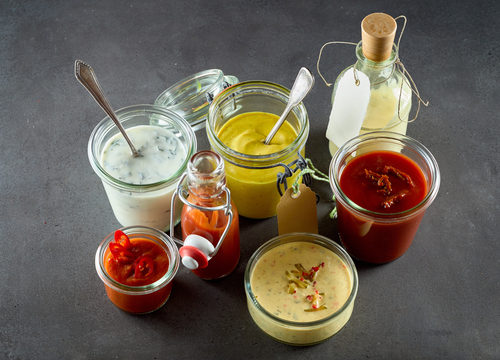 Not only does hot sauce contain loads of flavor, but it is low in sodium, salt and other additives which contain calories. 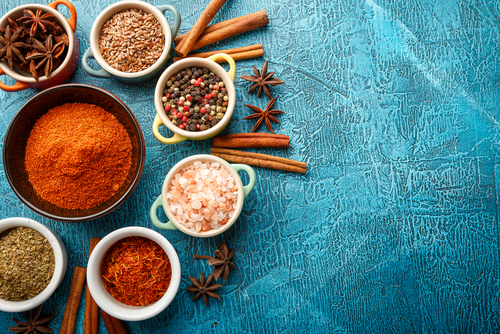 Since hot sauces are derived from peppers, they are also very high in antioxidants too, which come along with plenty of health benefits themselves.